In February of 2008, I hopped across the pond, from my temporary home in Japan, to South Korea, to visit my friend Emma who was living in Seoul. 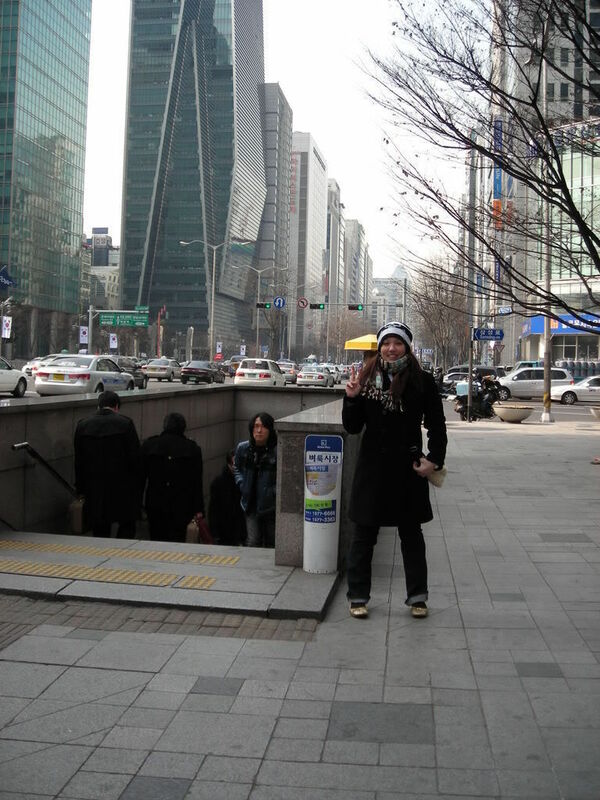 I landed at Incheon Airport and took the hour-long bus ride to downtown Seoul. Being a native Texan, I was shocked to see that indeed, it is possible for entire lakes to freeze over. I arrived downtown, alone, around midnight and was unable to get a hold of my friend due to cell phone problems. Luckily, Seoul is relatively safe, so I didn’t have any trouble. While in Japan I was able to read signs and converse with the locals, in this new country I had suddenly become illiterate. Luckily a taxi driver saved me by calling my friend on his own cell phone and driving me to meet her. I tried to pay him for the short drive but he vehemently refused. This to-the-rescue attitude was my first impression of Koreans. My second impression of Koreans was that they love to party! Even after arriving at midnight, Emma and her friends took me out for a night of noraebang (karaoke) and soju (Korean rice liquor) drinking. Before dawn the next morning, we groggily headed out on a guided tour of the DMZ (de-militarized zone) that divides North and South Korea. To visit the DMZ you must make reservations with a tour company in advance, as vehicles other than tour buses are not allowed inside. Furthermore, unless you book in advance, you will not be able to get an English-speaking tour guide. As our tour guide reminded us over and over, be sure to Bring your passport! This is the most heavily armed border in the world, needless to say, security is strict. 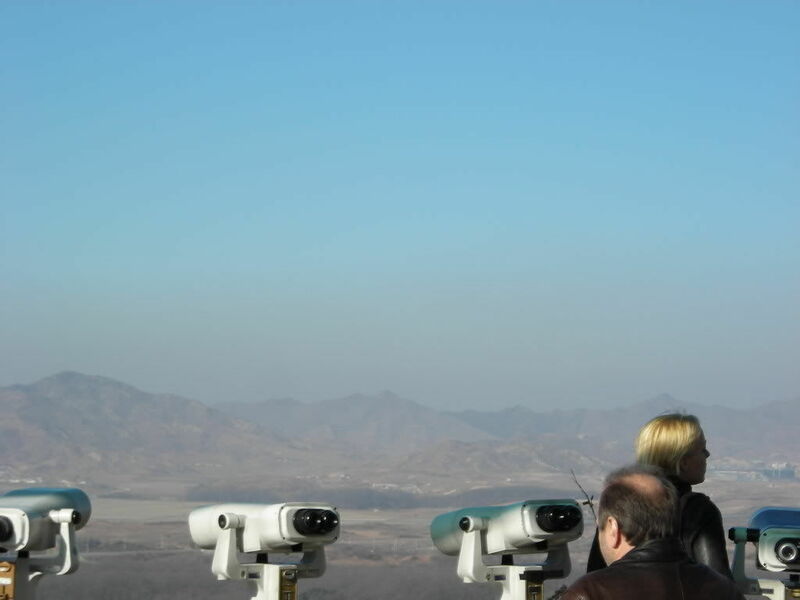 Our tour took us to Dorason Observatory, where you can look through binoculars and see North Korea. Photos are only allowed to be taken from behind a certain line. A barren and depressing landscape, we were told that the North Koreans had chopped down all of their trees to use for fires, to combat the bitter cold. Despite the lack of diplomacy between the two nations, poverty-stricken North Koreans are often sent supplies and food from their southern neighbors. We then visited Dorason Station, which was devoid of passengers, but filled with tourists and stone-faced military personnel. The train line that runs through Dorason connects to the North, however only freight trains make the journey. The last thing I expected to see at a war memorial site was an amusement park, yet there it was. It was a strangely care-free site to see so close to the Freedom Bridge, which POWs crossed on their way home after the war. Driving around on our tour, we passed through a forest with some ominous-looking signs. These were warnings that land mines covered the terrain and stepping inside could cost you a body part or two. Out last stop was the Third Tunnel, not an adventure for the claustrophobic. Photos are not allowed, but helmets are required so that you don’t knock yourself out on the low-lying ceiling. Back in Seoul, we visited Korea’s National Treasure Number 1: Namdaemun, the “Gate of Exalted Ceremonies”. Unfortunately, I visited exactly one week after it had been mostly destroyed by arson. The arsonist had wanted revenge against the government and decided that destroying one of his country’s oldest treasures was the way to do it. It was a bizarre site. A large barrier had been erected around Namdaemun. People gathered around it, some crying, others taking photos, and others playing musical instruments. After a long day of wandering around Seoul, my friend and I treated ourselves with a trip to a hot springs. Like Japan, hot springs in Korea are gender-separated and clothes are prohibited. Living in Japan had also adapted me to scalding-hot water temperatures. So it was no surprise when we exited the hot springs with beet-red skin. Nothing is quite as relaxing as soaking in a hot mineral bath after an eventful day! Trying the local cuisine is one of my favorite parts of traveling and Korean food does not disappoint! We visited a restaurant that cooked our food in front of us on a burner that was built into the table. You absolutely cannot visit Korea without trying kimchi (pickled spicy cabbage). Our dinner also consisted of heaping portions of rice, beef, seaweed, kelp, and a myriad of other vegetables. For a cheap lunch, I recommend rice balls filled with kimchi, meat or vegetables. You can buy them in any convenience store. Seoul boats the largest mall in Asia, the Coex mall. I visited an aquarium there early on a Monday morning. I had the whole place to myself, which was great! 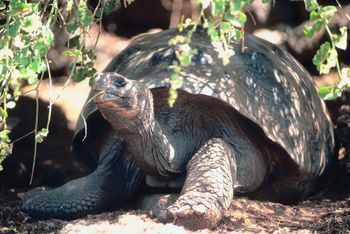 In addition to aquarium standards like eels, seahorses, sharks and manta rays, they also had some land animals, like squirrels, toucans and bats. My favorite creatures there were the huge sea turtles. One section of the aquarium had a bizarre display of themed tanks, a fine example of Korean humor. 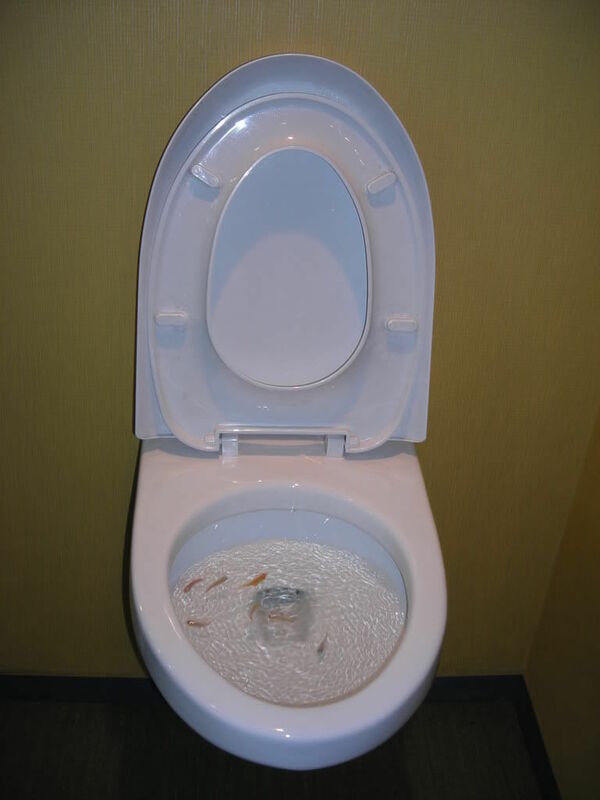 There were crabs in an oven, fish in a toilet bowl, and fish in an overflowing shower. If I ever get the chance to go back to Korea, I will take it in a heartbeat. The people are friendly, the food is delicious and there is so much to do!